Sensi #741 fem (Sour Diesel x Afghani) – a blend of sharp, uplifting freshness with relaxing notes of earth and sandalwood. Looking back over three decades of creating cannabis strains, we can see that one of the things our fanbase appreciates is our knack of taking strains from the extreme ends of the indica–sativa spectrum and blending them together. We did it with Jack Herer; we did it with Northern Lights #5 x Haze. With SENSI #741 FEM, we’ve done it again. This uplifting strain has a decent yield and produces a multitude of pungent flowers, recognizable for their fresh and relaxing aromas of earth and sandalwood. The Sour Diesel background is immediately recognizable in the spicy and citrussy undertones. The Afghani genetics deliver a compacter bud structure and ensures a relaxing body high. Sour Diesel with a touch of dankness, a no-brainer! Sensi #741 Feminized is a is a feminized strain, which will only produce plants that flower as females.. The Sensi #741 Feminized is a Sativa / Indica Hybrid. Sensi #741 Feminized will have a relatively long flowering time. Sensi #741 Feminized will have average height gain during flowering. Sensi #741 Feminized can be grown outside in a warm, sunny climate with a long summer. Sensi #741 Feminized Seeds is added to your shoppingcart! 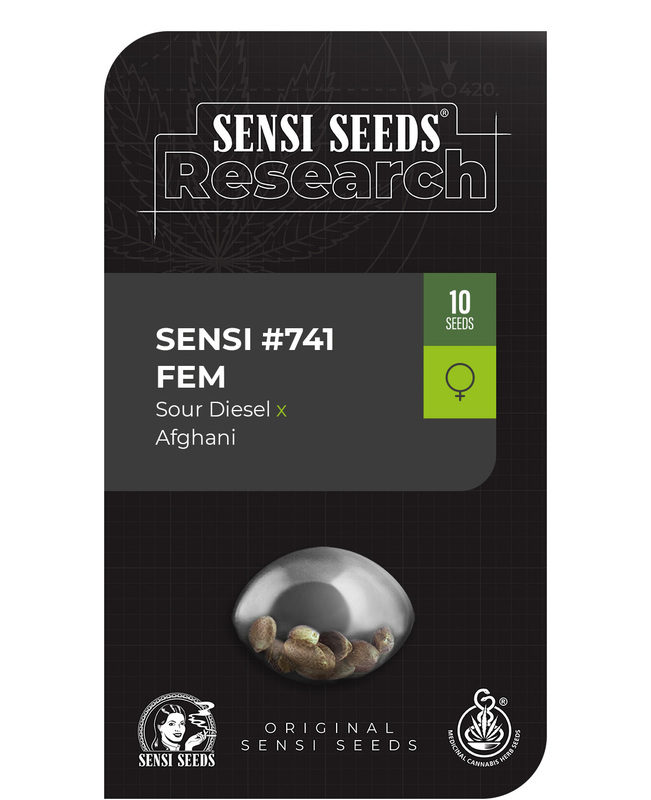 Sensi #741 Feminized Seeds is added to your wishlist!